Scratch another off my list of wanted bring backs. This makes my 5th in the last 2 months and my collection of bring backs is growing by leaps and bounds. This will be my last for a while as my funds are all used up! I have always wanted a Hi Power and this one showed up on Gunbroker. Lots of Nazi markings on it. Its not in the greatest shape but its matching and the paperwork is interesting. 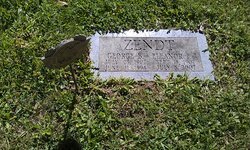 Now the search for information on soldier George Zendt. Thanks for any help! Edited by WWIIBuff1945, 28 October 2018 - 05:31 PM. Not a common name so hopefully he will be easy to research. Too bad his outfit in not on the capture papers. Edited by WWIIBuff1945, 28 October 2018 - 06:26 PM. Thanks Matt!! Man, that didn't take you long LOL!! Appears that one or more of the Zendt brothers manufactured some uniform clothing for the Army. That's very interesting. Thanks Matt! Received the gun and paper work yesterday and its really nice. The paper work shows Zendt to be a Technical Sergeant! I'm headed to the range with it tomorrow! Great. Glad you received it and are heading to the range. Somehow, I believe you're going to enjoy shooting it! Have fun !!! Thanks Matt. Never made it to the range. I'm not sure if I'm going to shoot it now. I heard I may break the extractor which they are prone to do.